In Rural China, New Leaders Aren't Familiar Faces Economic progress in China's countryside helps explain the varied reaction to the once-in-a-decade leadership transition. In big cities and online, some derided the process as an authoritarian charade. In rural China, though, there is a reservoir of goodwill and people are more accepting even if they don't know the leaders well. Villagers in Dongjiangai, in eastern China's Jiangsu province, watch the presentation of the Communist Party's new leadership on national TV Thursday. They say they support the new leaders because of the improvements government policies have brought to their village. An elderly couple is winnowing rice in the front yard of their home in the tiny village of Dongjianggai, about 200 miles northwest of Shanghai. They've just watched China's incoming leaders — including Xi Jinping, the new general secretary of the Communist Party — appear for the first time on national TV. "We don't know them," the husband, Wu Beiling, says. "Xi Jinping was just unveiled. I'm not very familiar with the rest of the members." Wang Heying, 64, supports the new Communist leaders, even if she can barely name them. She says government policies have led street lamps, bigger houses and a TV in every home. Wu, 66, wears a denim hat with flaps that cover his neck and ears to protect them from the sun. He says villagers have no personal feel for the country's leaders. "They are in Beijing," Wu says. "We are here. The top leaders don't come here. There is no connection." But Wu still supports the Communist Party. He and his wife, Wang Heying, say life here has improved over the years. Wang, who wears a conical bamboo hat and wields a matching bamboo shovel, attributes that progress to party leaders — even if she can't name most of them. "They pay attention to every aspect of our lives — seniors citizens, children going to school," Wang says. "Look at our village. 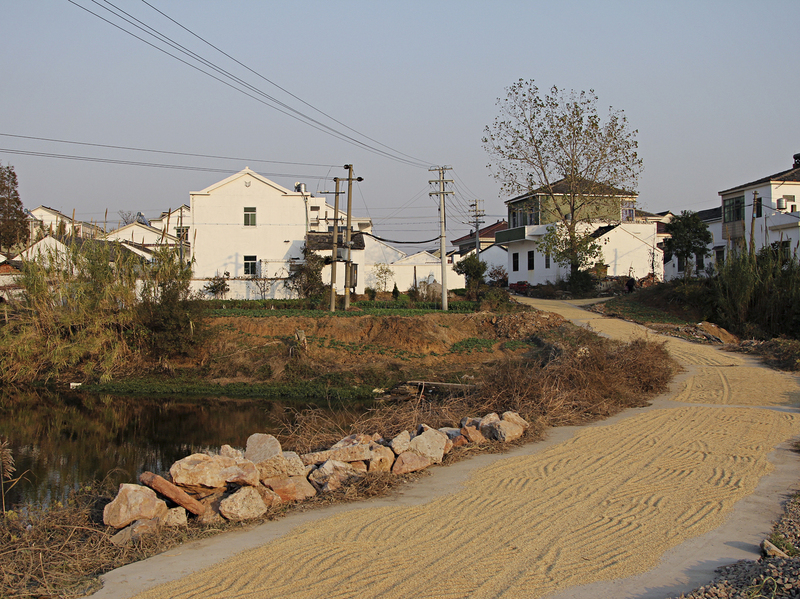 Paved roads lead to other villages. We have street lamps. Every house has a TV. Do you think this life now is good or not?" If you walk around town you can see improvements. Most of the houses are two stories and made of cinder blocks. Solar panels dot most of the rooftops, and a number of residents have cars and motorcycles. This helps explain the varied reactions to China's leadership transition this past week, a once-in-a-decade, secretive selection process that's devoid of public input. Dongjianggai, a farming village, lies about 200 miles northwest of Shanghai. In big cities and online, some derided the process as an authoritarian charade — out of step with China's economic development and growing sophistication. But here in rural China — which still accounts for about half the country's population — there is a reservoir of goodwill and people are more accepting. On Thursday, a group of villagers gathered on tiny wooden stools and watched the party's new leaders walk across a television screen. Xi Jinping, the new party chief, addressed the nation. He talked about the need to improve people's lives and to clean up the party, including "the problems of our party members and cadres of corruption, taking bribes, being out of touch with the people." Wang Jiushou, an 83-year-old retired teacher, likes what he hears. "His speech focused on issues concerning people's lives," Wang says, "like health insurance, pensions and environmental protection. What he said was in line with the people's interests." That's not to say that people here are completely satisfied. Sitting around Wang's dining room, sipping green tea from plastic cups, villagers say rural people still need lots of help. And the major issues, like health care and a growing income gap, would be familiar to many Americans. Shi Dahai, another retired teacher, says government health coverage has improved, but still isn't enough. 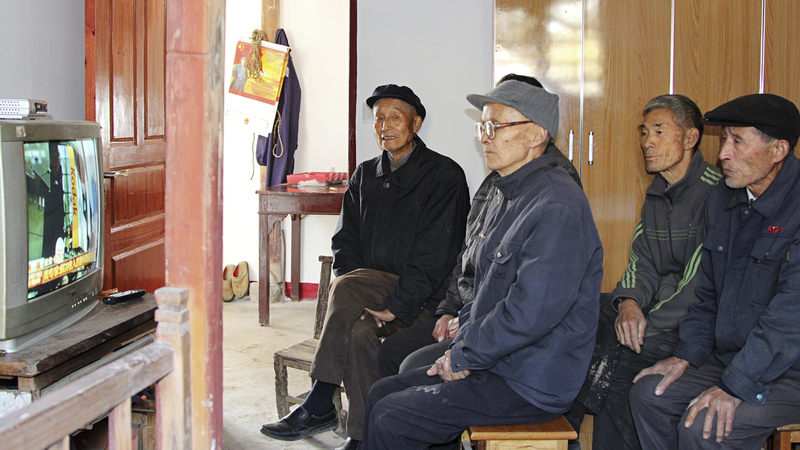 "A man from our village was diagnosed with cancer," Shi says. "His chemotherapy cost nearly $9,000. Local government only reimbursed 30 percent of the medical bill." That's a lot of money for farmers here, who receive about $110 in government pension annually. 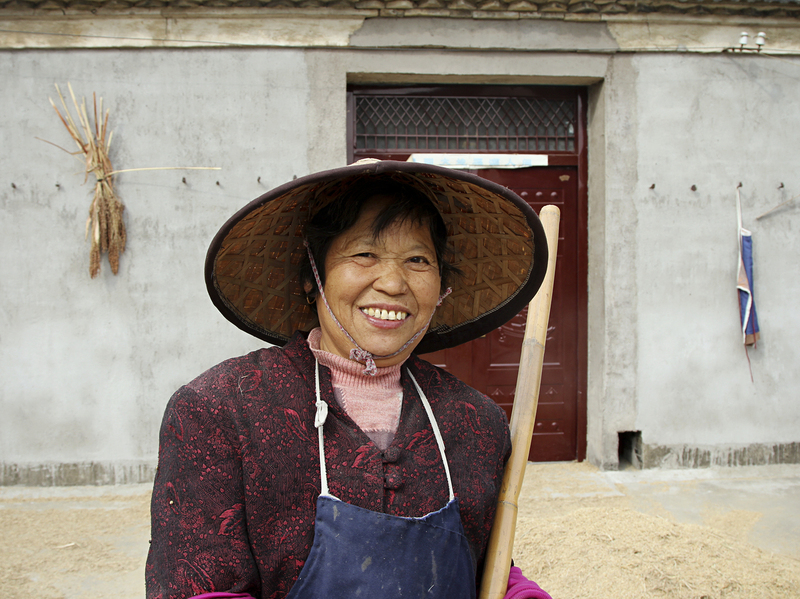 Villager Wang Shugen finds the income gap between rural and urban China staggering. He recently visited Suzhou, a wealthy metropolis where an 88-story skyscraper is under construction. "The areas on both sides of the highways are so pretty," he says. "And the environment is so beautiful. High-rise buildings in cities are gorgeous." Wang says for the Communist Party to continue its success in the coming years, its leaders must further improve the lives of farmers — and find ways to bridge the gap between urban and rural China.